Saybrook’s School of Organizational Leadership and Transformation will begin offering a Certificate in Crisis Management beginning in 2014. The program will be led by Ian Mitroff, who recently joined Saybrook as an adjunct faculty member. 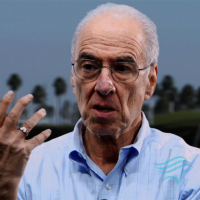 Dr. Mitroff is Professor Emeritus at the Marshall School of Business, University of Southern California, and is the founder and president of Mitroff Crisis Management. He is also a Senior Research Associate with the Center for Catastrophic Risk Management at the Haas School of Business, University of California, Berkeley. The program will be introduced at a three-day workshop, January 22-24, 2014, at the Westin Airport Hotel in San Francisco. It will cover the topics to be included in the certificate, and provide an opportunity for participants to work through cases and examples which will be included in the full program. Basic knowledge about complex organizations; the typical and atypical ways in which they behave, make and don’t make important decisions, resist change, etc. How people are affected by crises–before, during, and after their occurrence. That is, why do people and organizations often exhibit denial in the face of crises, e.g., “It can’t happen to me or to us!” The program will cover key principles of psychodynamics. A comprehensive framework for understanding, coping with, and managing crises, including the essentials of complex, messy systems. Senior level executives and managers of all corporate functions. Middle managers at all levels and types of organizations. Those who aspire to take a leading role in Crisis Management in all types of organizations and industries. The workshop will examine particular cases in-depth, such as Hurricane Katrina and the Fukushima Nuclear Disaster, to understand: (1) why the crises occurred, (2) how they could have been prevented, and (2) how the aftermath and recovery could have been handled better. It will also explore reasons for why we fail to learn from previous crises. The workshop looks especially at the underlying failures of communication, economic, epistemic, organizational, and psychological causes of crises. In short, crises cut across every known academic discipline and profession. As a result, the program sequence is fundamentally interdisciplinary. Critical and Systems Thinking are at the heart of effective Crisis Communications, Crisis Management, and especially, Crisis Leadership. Indeed, the failure to exercise Critical and Systems Thinking are two of the biggest factors responsible for the cause of modern crises and major threats to the environment. How to recognize and prepare for a broad array of crises that go far beyond the limited set of crises that industries and organizations for which normally prepare. In other words, how to formulate crisis plans and procedures that are systemic, and thus prepare for a larger set of “unthinkables” that EVERY crisis involves. How to create and maintain exemplary crisis plans, procedures, and programs. How to prepare for a chain reaction of crises that every initial crises sets off. Once again, this is why one needs to prepare for a broad range of crises, not just those that are foreseen and common to one’s industry. How to pick the early warning signals that accompany every crises and thus hopefully prevent many crises from occurring. The nature of effective damage containment systems. How to anticipate and to analyze multiple stakeholders that are affected by major crises. Knowledge of Crisis Management and Crisis Leadership and the ability to apply them to real-world crises. The job requirements of an effective Chief Crisis Officer. How to integrate Crisis Management with other key organizational programs such as Environmentalism, Safety, and Quality Control. How to sell Crisis Management to the other members of one’s industry and organization. How to organize effective Crisis Management Teams. How to think and act systemically, and thus anticipate the chain of additional crises that all initial crises set off. How to formulate crisis plans, procedures systemically and to develop crisis capabilities that are systemic.